This section will help you understand the organizational culture of your agency and allow you to identify the formal and informal culture that impedes or facilitates the implementation of the TJC model. The organizational culture dictates how things are done, the type of people it attracts, who exercises authority, what behavior is rewarded (both formally and informally), and how the staff view their job and role in the organization. Herman also introduced the idea of the organizational iceberg to depict the strength of the informal and hidden cultural elements in organizational life, which are often as powerful as the formal elements in dictating how the organization operates and changes over time. In other words, you must consider how the formal and informal aspects of your organization are interrelated when developing and implementing the TJC model. First, picture an iceberg and remember what we were taught as kids; only a small part of an iceberg is visible above water. The tip that we see seems like the entire iceberg, but it's actually less than 10 percent of its mass. 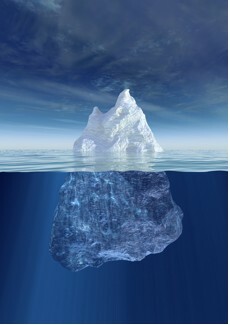 The formal aspects of an organization (e.g., mission, goals, policies, procedures, physical facilities, and financial resources) are the iceberg's tip, floating above the water. Everyone pays attention to the tip without remembering that what lies under the water—the human, cultural, informal aspects of the organizational culture. These aspects often control the organization. After reviewing the organizational iceberg, think about how important it is to identify and address the “waterline” and “below the water” aspects of your organization. Remember that implementation of the TJC model will likely fail unless these human aspects support it. How is your organization perceived by other organizations with which you interact? How is your organization perceived by the community? Do you receive open and honest feedback from other organizations about your organization? Do others perceive your organization and staff as committed to helping people transition from jail to the community? Are the formal and informal structures in your organization consistent? Who has informal power in the organization and may influence how the TJC model is perceived? Are there differences among the staff with regard to the roles and mission of the agency? Will the TJC model disrupt any power and influence patterns at your agency? Do you know the individual needs, desires, and feelings of your staff? Are the staff willing supporters of the TJC model? If not, why? Are the staff willing to partner and share power and resources with staff in other stakeholder agencies? How do you develop an organizational culture supportive of the TJC model that becomes so strong and institutionalized that the leaders can leave and the new organizational culture continues? The answer lies in the leaders' ability to articulate the application of the TJC model; but more importantly, institutionalization is won or lost based upon what the leaders actually do. When implementing a model that requires change, leadership modeling is essential. Even a very articulate, charismatic leader who says all the right things cannot fool people into buying into and integrating these practices unless the leader lives, eats, and breathes the model on a consistent basis. Click here for a TJC Leadership Profile on Ross Buitendorp, a contract manager for Network180 from Kent County, MI. The organizational environment must be safe, secure, and stable before change can take place. Articulate every single initiative in the context of your mission and vision. Build strong relationships with external stakeholders, communities, internal stakeholders, those incarcerated, and service providers. Develop a culture that focuses on learning for the purpose of obtaining the best results and enhancing long-term public safety. Commit to measurement, self–assessment, monitoring, and change as needed. Develop a sense of ownership by all staff. Provide staff incentives for being part of the TJC model. In the Sheriff’s Office in Kent County, Michigan, correctional officers are key players in ensuring that inmates to receive the programs and services they need to transition out of jail successfully. William Rencher is a correctional officer who has worked for the Sheriff’s Office for twenty-one years, and he has devoted the majority of his time to working with inmates in the reentry pod since it opened in 2010. He supports the day-to-day activities in the reentry pod, coordinates with treatment providers to ensure that the TJC model is working effectively, helps make sure that inmates attend programming, and works with inmates to overcome any issues that may arise. In addition to this work directly with inmates, he has been actively involved in the system planning work of the TJC initiative through participating in Kent County’s TJC core team. “I strongly believe that in order for the program to be a success, the floor officers must work as a team with the re-entry leaders to make sure the inmates follow the program rules,” says Officer Rencher. “Since corrections officers have contact with the inmates on a daily basis, it is their job to make sure that the pod expectations are being followed...For the program to be effective and its participants to succeed on the outside, they need to be able to adhere to the rules within the jail first and foremost.” By providing direct supervision and ensuring accountability, Officer Rencher demonstrates how correctional officers can play a critical role in the successful implementation of the TJC model. 1. Christensen, Gary, E. 2004. Leadership within Corrections: The Creation of Learning Organizations. Corrections Managers’ Report. Available: http://www.correctionspartners.com/articles/Lead_w-in_corr.orgs_learning_orgs.pdf. 2. Flaherty-Zonis, Carol. 2007. 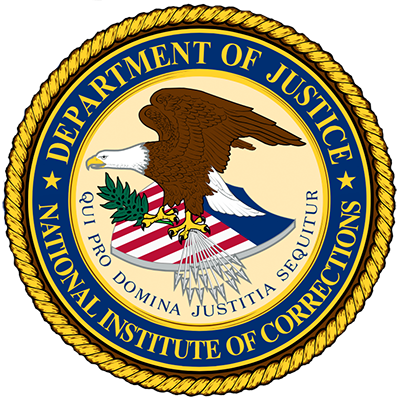 Building Culture Strategically: A Team Approach for Corrections, published by National Institute of Corrections. 3. Foxall, Mark,. 2006. “Analyzing Our Culture to Improve Our Jail,” Douglas County Department of Corrections, Omaha, Nebraska. In National Institute of Correction's Proceedings of the Large Jail Network Meeting. 1 Stanley M. Herman, “What Is This Thing Called Organization Development?” Personnel Journal 50 (1971): 595–603. Let's revisit what we have learned so far in the Leadership, Vision, and Organizational Culture module. Please answer the following question. Will sink your plans if you're not careful. Have significant informal aspects that are largely unseen. Are nonhierarchical ventures based on the sharing of power and authority. Now that you have completed this section, you understand the iceberg metaphor for organizational culture and recognize that the unseen, informal, human, and cultural aspects of the organization can often be in control. Harnessing the potential of such unseen aspects requires strong leadership from leaders who demonstrate commitment to the TJC model on a daily basis.